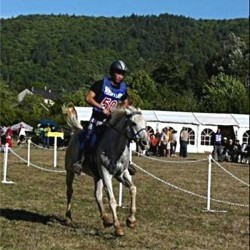 Endurance riding There are 27 horses. 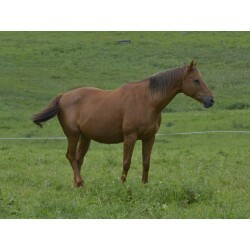 Natifao de Bozouls is the son of Faouzi**** (Manganate) and Natia de Bozouls**** (Djad** x Nadia al Sigour***). 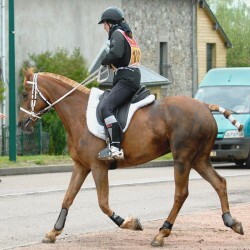 This beautiful and large chestnut horse is indexed IRE** on performances. At training on our stud farm. 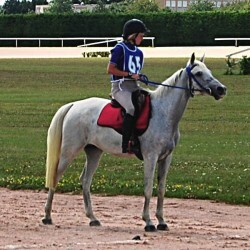 Son of Rim*** and Raïcha***(Niel** x Meduse***), Raid de Bozouls is graded on 6 CEI** and CEI***, under the saddle of the Lissarrague family. He is indexed 123 and IRE*** on performances. 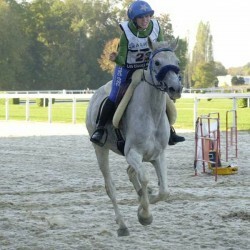 Daughter of Rim *** and Nadia al Sigour ***, Riminita de Bozouls ranked in 10 ** and *** races. Vénus de Bozouls is a mare by Gaverlys du Cercle and Venise de la Croix**. Vénus is one of the two AA mares at the stud. Though her origins known for jumping, she is indexed IRE 133 and has a great list of achievement. 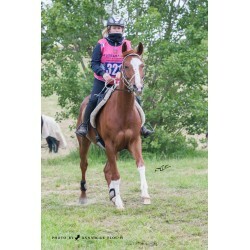 Son of Zaara de Bozouls*** and Prim de Syrah****, Zaaf de Bozouls is indexed IRE** on performances since he is several times graded on nationals events. Zaaroi de bozouls is a son of Faouzi**** (Manganate***) and Zaara de Bozouls***.